Leaders today need to be mindful of their circumstances as well as mindful of their own strengths and shortcomings. They need to have the disposition to succeed as well as the inner resourcefulness to persevere. Leaders must be willing to do things differently but also draw on tried and true traits, such as courage and gumption. 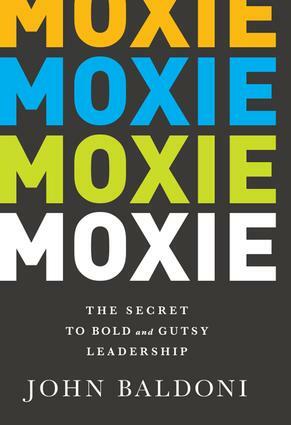 Moxie is a concept that the modern leader is wise to adopt--one part courage, one part can-do spirit, and one part recognition. In Moxie: The Secret to Bold and Gutsy Leadership, author John Baldoni uses concrete, tried-and-true steps to bring out the inner leader in everyone. For management and employees alike, Moxie provides a roadmap to inspire innovation and effective leadership. Whether you're already at the helm of your organization or still looking for a way up the ladder, Moxie is the leadership tool you can't do without. Built on the MOXIE framework, leaders learn how Motivation, Opportunity, an "X" factor, Innovation, and Engagement work together for success.